Jeff Field and Associates is a bankruptcy law firm in Scottdale, Georgia. Jeff had recently refreshed his website; he was looking for something to encourage consumers to take the next step and contact the firm. 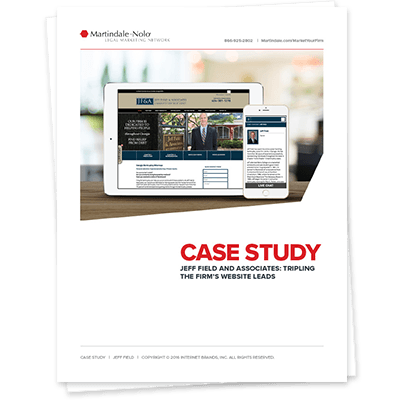 The solution he picked not only enticed prospects to engage, it tripled the firm’s website leads.